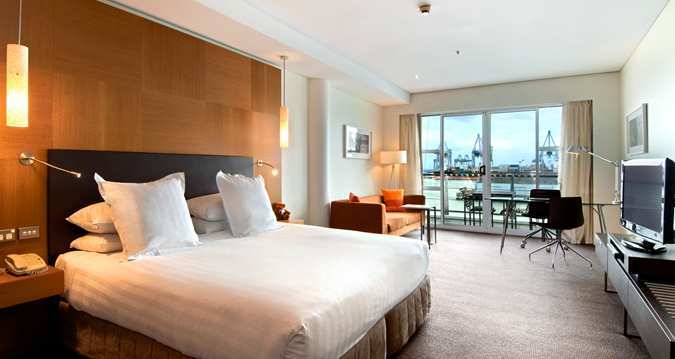 Unwind at Hilton Auckland hotel and admire stunning ocean views 300 meters out to sea. 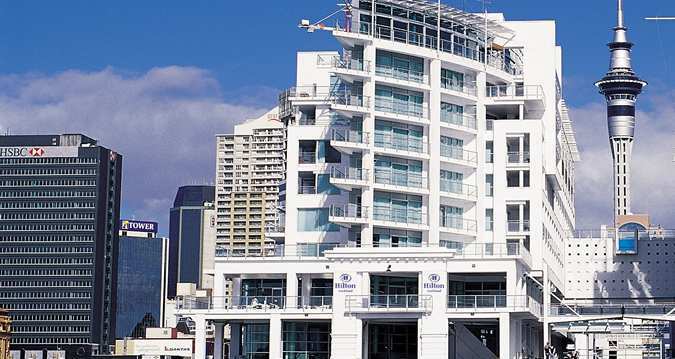 Positioned within Auckland’s city center, the Hilton Auckland hotel is just a five minute walk from Auckland’s central business district, as well as many impressive local attractions. Relax in one of 165 spacious and comfortable guest rooms with balconies or upgrade to a Deluxe Harbor View Room for views over the waterfront. Choose a suite and enjoy the extra space of a separate living area and private sun deck. 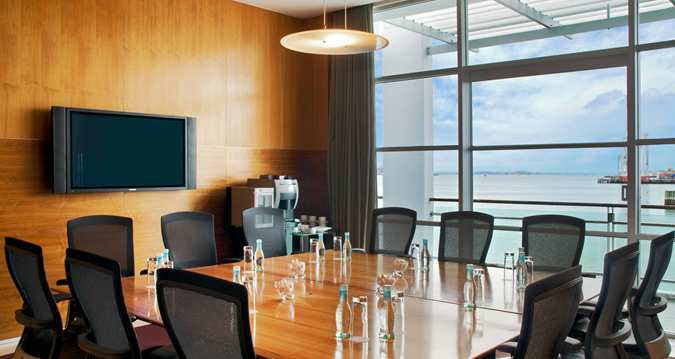 Offering sweeping views of Auckland’s harbor, this Auckland hotel presents seven flexible meeting rooms for up to 700 guests. Aquamarine rooms are bathed in natural light and open onto a deck overlooking the ocean and the city. 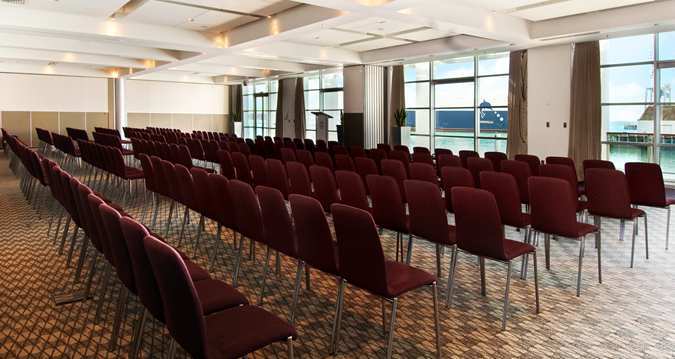 Host a corporate meeting or special event and enjoy a range of professional facilities. Keep in touch in the hotel’s 24-hour internet connectivity station and enjoy WiFi in all public areas. 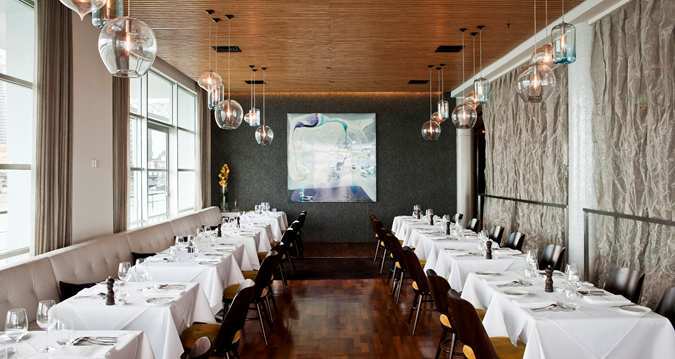 Dine with breathtaking views at Auckland restaurant, FISH, celebrating New Zealand’s finest seafood in a menu designed by New Zealand master chef Simon Gault. Savor this Auckland hotel’s variety of cocktails at the Bellini Bar, including its signature cocktail with peach and prosecco. Keep fit in the hotel’s fully equipped fitness center with the latest, modern cardiovascular equipment and weights and take in stunning city views from the floor-to-ceiling windows. Recuperate in the outdoor heated lap pool and marvel at spectacular sights from Auckland’s only underwater viewing window.